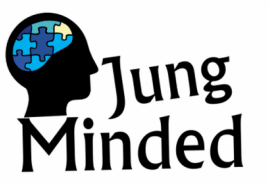 JungMinded* was created by a psychology undergraduate in order to provide an independent platform where psychology students could revise, clarify and discuss topics studied in uni. It will also provide an interesting read for everyone interested in neuropsychology, abnormal psychology, social psychology.... The content of the website will grow as its creator progresses in her studies - feel free to suggest topics using the contact me page! So what can this site offer you? The main part of the site is News. Here you will find the latest findings in Psychology and related fields. Another page is Events: here we will publish information about events such as lectures, conferences, film screenings etc. For Students is divided in three parts. Psychology contains all the articles and materials. You can browse it by psychology areas, such as Psychology of Language, Social Psychology, Cognitive Psychology and so on. Here you will also find a section which deals with Conducting Research. Second part is a Glossary page which will help to get the terminology straight. Third page in this section is titled Statistics. Yes, I created a separate sub-blog within the main one - I am sure Psychology students will agree there is a reason for this. Finally, for those moments when you are desperate for a break but feel too guilty to watch Doctor Who in the middle of the exam period there is a Films page, where you will find documentaries and videos related to psychology, as well as psycho jokes and other entertainment.